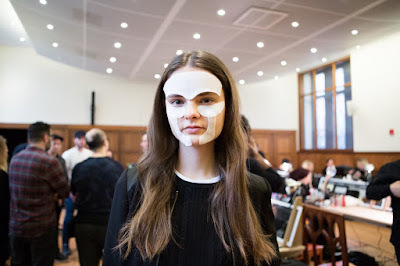 Backstage at Monse Fall/Winter 2016, models got prepped for the runway show with skyn ICELAND, featuring skyn ICELAND's newest launches - the Glacial Cleansing Cloths for Eyes and Blemish Dots. 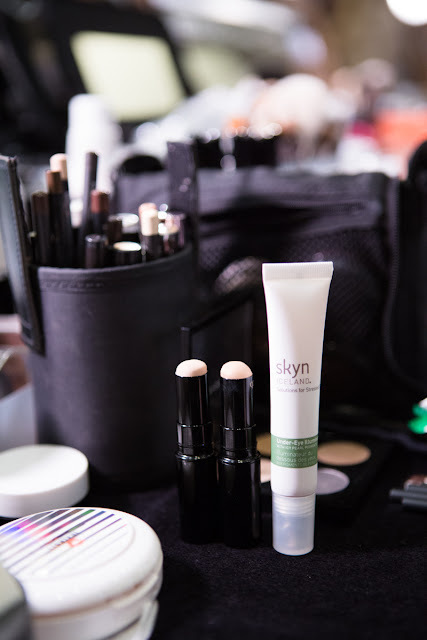 The Glacial Cleansing Clothes for Eyes are infused with pure Icelandic glacial waters and soothing botanicals, including cucumber extract to help calm and de-stress overworked eyes. 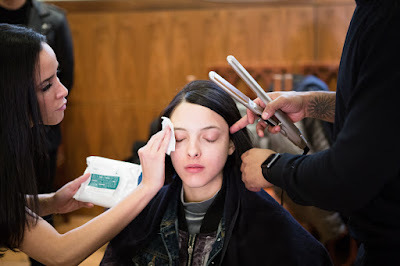 These foaming cloths don't require any water, and sweep away waterproof makeup without stinging or irritating the eye area. 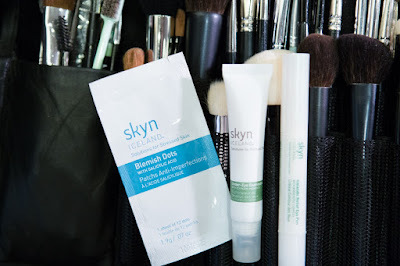 The Blemish Dots absorb excess oil and curb the spread of acne-causing bacteria. The see-through dot stickers, packed with with salicylic acid and tea tree oil, can easily be applied on a blemish for a few hours or overnight to rapidly shrink blemishes and smooth irritation.